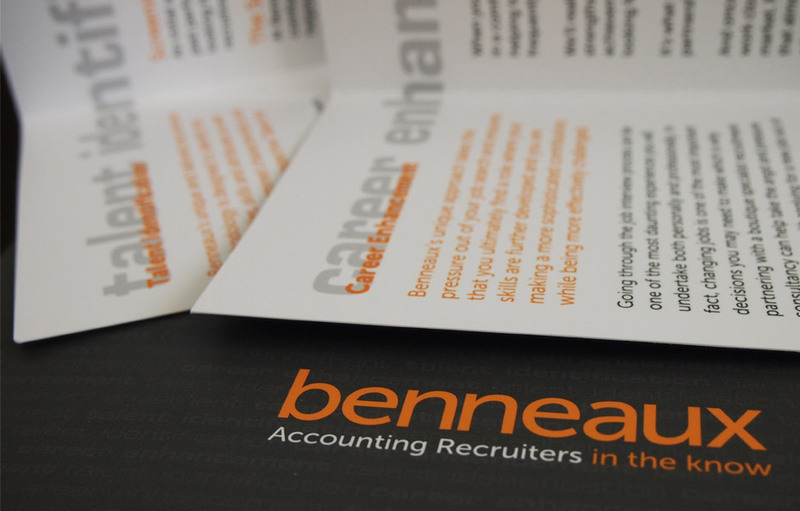 Benneaux Accounting Recruiters supplied an existing logo. 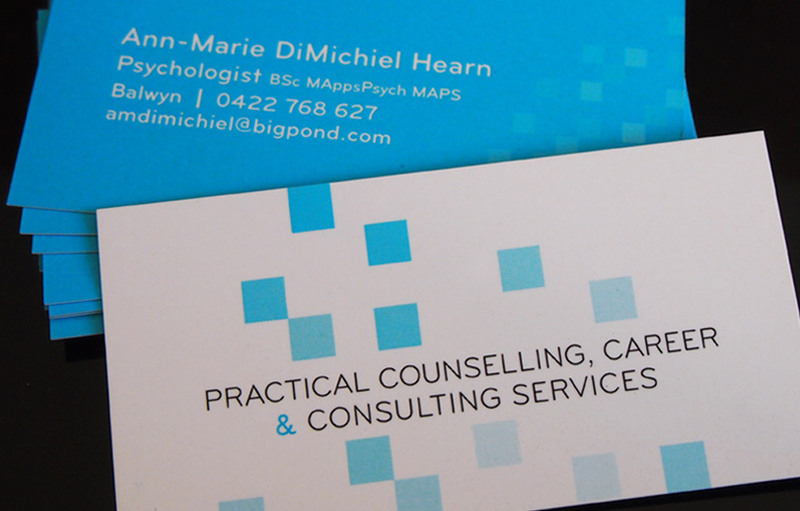 The brief was to introduce secondary design elements to create a fresh, new look for the brand. 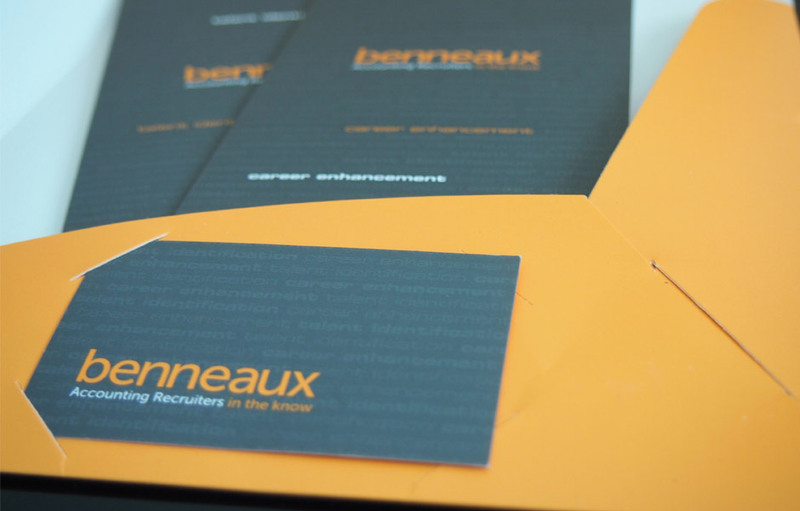 Our execution involved using bright orange contrasted with charcoal grey to brighten up the brand, yet still maintain the corporate professional tone. 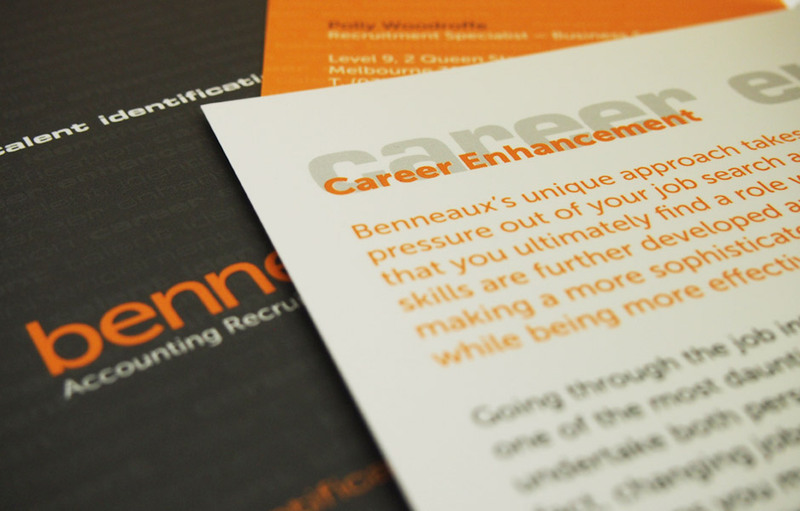 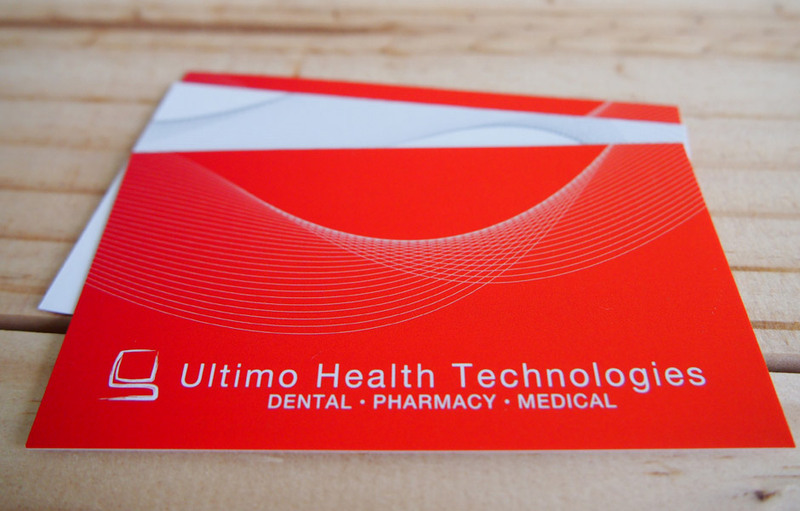 The collateral includes signage, business cards, presentation folders, brochures, and a website.